Welcome in second snapshot by MyEsports. Below we're present our summary. Woodland Spirit Woodland is comfortably sitting in the highest tier for couple patches already. Nerfs to his counters only solidified his unquestionable spot on top. His biggest counters are tall unit removal and resets. Gernichora Midrange gernichora gives us a little different approach on big monsters. Her ability always generates sick value (conparing to other leaders) and gives you uncounterable thrive engine. This allows you to bleed your opponents effectively. Combined with big bodies like speartip it creates a deadly combo. Eredin Bréacc Glas Slyzard + immunity? Yeah eredins immunity can turn slyzard into a massive truck and it's all thanks to open qualifiers and team leviathan gaming. Slyzard lists where circling around the web for a while now but none so optimised like this one. Long round 3? Only meve engine might be able to keep up with your points. Short round 3? Massive units and immunity. This deck capitalizes on opponents losing value on removals. The only threats are scorch and yrden (not played this patch because of low value in most matchups). Being bleed might be dangerous, but in most scenarios you come out a card up. Part party play around hum hym! Deck is very good for climbing up the ranks. Crach an Craite can keep the high spot thanks to few things, which are discard, decent bloodthirst value and some good monster counters. Some variants run scorch but it might be hard to find value on this card in some matchups. You have 2 win conditions hym - against big monsters and commanders horn (which with harald is not that hard to pull off) for other matchups. Meve came to be exactly the thing that NR needed. Thanks to her engines have greater chance of sticking on the board and you could say that she brought NR back to life. But meve shupe is not all about engines and thats what makes this deck even better. Not relying on engines so much might give you slightly less value overall but it wont be relying on your opponent not removing your engines. Morvran Voorhis Ng has lots of high value cards which combined with shupe can mess up hard with your opponent. Moorvran is the most played ng leader, because of his high provision and very flexible ability which can be used in many different ways like buffing your unicorn/chironex to move it outside of your opponents removal possibilities. Ng greatest struggle are finishers. Brouver Hoog Brouver shupe has similar story as its moorvran version. High value ST cards and shupe are a decent combination. In my opinion it's slightly worse than moorvran version but comparing it with other ST lists it surely stands out as one of the best decks in this faction. His ability is great counter to meve's row locked units. As mentioned earlier meve engines is very vulnerable to removal. If your opponent can control your side of the board you most likely lost the game, though if you can keep your engines untouched you should get a sweet victory screen. This deck reaches insane long round value. Some variants like to also run dragons with huberst. 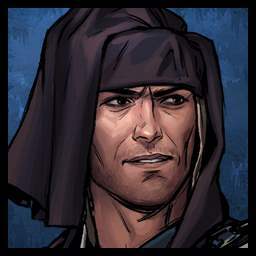 Brouver might mess up some of your row-locked units especially seltkirk. Princess Adda Adda with hubert has a great finisher. Play hubert after you have dealt damage to your opponent's cards for huge value. Not much has changed for this deck in last patch it just somehow sees more play as it was also used by some players in last open qualifier. You can try running summoning circle to be able to play Sabrina and Hubert in the same turn This deck struggles with winning round one and is punished if its order units are removed. Filavandrel Filavvandrel was unnoticed for quite a while until someone showed others the best way to play it. If you use his ability in r3 not only will you get great value on boost engines but also up to 10 point leader which is better than woodland (also better point distribution). You should always pass on 7 cards in r1 (unless you play against usurper), as more and more people get to know about this tactic this deck is getting slightly worser as it's playstyle can be punished if he is the first player. In r2 you either easily win or if being bleed use ability and get sweet card advantage over your opponent. Brouver Hoog Brouver traps gives you great control over board but one of the hardest tasks for them is populating the board as most of their units don't stick there too long. With the new trap leader, we might get a better version of this deck. Artefact removals hit this deck pretty hard. Unseen Elder Elder's deathwish deck goal is to win round 1 to pressure his opponent in round 2 with his ability being renewed in every new round. Consume deathwish units for big value. Locks and not winning round one are one of the hardest things for this deck to overcome. Emhyr var Emreis Emhyr shupe was one of the most dominant decks in the previous meta, because of the flexibility of his ability, and NG cards being good in general (peter or traheaern). Nerfs to cards he is playing and lower bonus provisions he gets hurt him very badly and made him fall out of meta The best answer to him is a strong finisher, forcing his leader before round 3 would also be decent. Harald The Cripple Harald's gameplan is pretty simple. Win round one and slam dagur with your leader ability as your last play for up to. 20 points swing. If you don't manage to win the first round you have to be careful not to get punished by big unit removal or resets. Encountering kambi is very dangerous for you! Eredin Bréacc Glas Eredin mourntart deck has a simple plan. Win round one, populate graveyard and slam your leader ability on mourntart in round 3. Alternatively, you can use your ability on imlerith and maintain the highest unit to get 2 additional points each round. Yrden is one of the most dangerous cards for mountart. Ardal Aep Dahy Ardal's spies don't even need to run any tactics to make value out of his ability. Just simply create a copy of impera enforcer with operator and use your ability on him which gives you 2 additional spy engines. This deck can feel a little nostalgic and brings back memories of OB spy decks. Ardal Aep Dahy with MODs needs 4 tactic cards and goes for the same tactic as its spy version - create a copy of a unit and steal it (in most cases you should be doing it in 3rd round!). Getting 2 MODs in the same round makes it almost impossible for your opponent to remove them (only auckes might be able to do it). MOD is a great target for ardal as it is one of the highest provision bronze which can achieve decent value (especially against monsters). Usurper Usurper punishes any deck depending on leader ability. Combined with the strength of commanders horn and good NG cards he is a formidable opponent. If you don't rely on your ability too much you might beat him, though as he has the lowest provisions in game. Bran Tuirseach Bran with coral creates a very good duet giving you 3 free points on each spell discard, but coral is vulnerable to removals, which makes this deck less competitive. Lippy allows you to simply go infinite with this deck. If coral gets removed you'll rather lose. Eist Tuirseach Eist warriors is one of those decks with a strong finisher. Just play your high-value cards and finish of with jutta and bekkers twisted mirror. The danger is that your jutta might be removed before or after you played mirror. Francesca Findabair Francesca has a potential of spawning ragh na rog on both of your opponent's rows. The hardest thing is drawing it in the first place as you have no tutors for it. If your opponent can clear weather you are in great danger of losing the game. King Foltest Foltest with orders was more dominant in the previous patch, but right now we have too many removals for most of his cards to stick, also with many provision nerfs to NR cards this deck just can't find the value in his cards. Bran Tuirseach Bran's beasts is just all about playing beasts, discarding beasts and getting huge value off of beastmasters. Remember that you have to have a beast on the board to get value and keep away from resets and big unit removals.